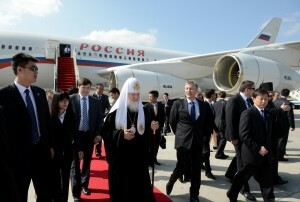 On 13 May 2013, His Holiness Patriarch Kirill, currently on a visit to China, left Beijing for Harbin. At the Shoudu airport, he was seen off by Mr. Jiang Jianyong, deputy director of the State Administration for Religious Affairs under the State Council of the People’s Republic of China (SARA), and by Russian diplomats. 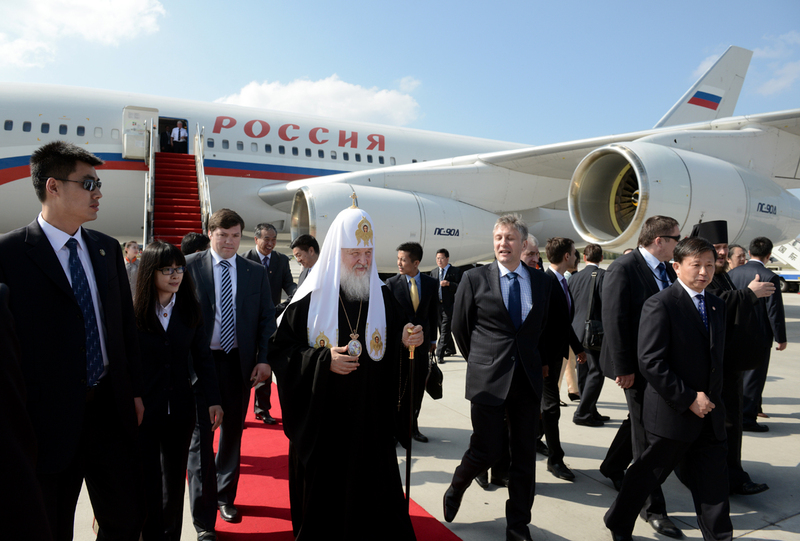 The Primate of the Russian Orthodox Church is accompanied by members of the official delegation of the Russian Orthodox Church; Ambassador Andrei Denisov of the Russian Federation to the People’s Republic of China; and Mr. Zhang Lebin, SARA deputy director. Meeting Patriarch Kirill and his suite at the Harbin Taiping international airport were Mr. Sergei Paltov, Russian Consul General in Shenyang; director Liu Ming of the Committee for nationalities and religions of the people’s government of Heilongjiang Province; his deputy Zhang Kaifen; and chairman Yan Haisin of Harbin Municipal Committee. While in Harbin, His Holiness will visit St. Sophia Cathedral, celebrate Divine Liturgy at the Church of the Intercession and meet with the parishioners.